What is Fully Differential Push Pull Amplifier ? some diffential OP Amplifier IC inside. 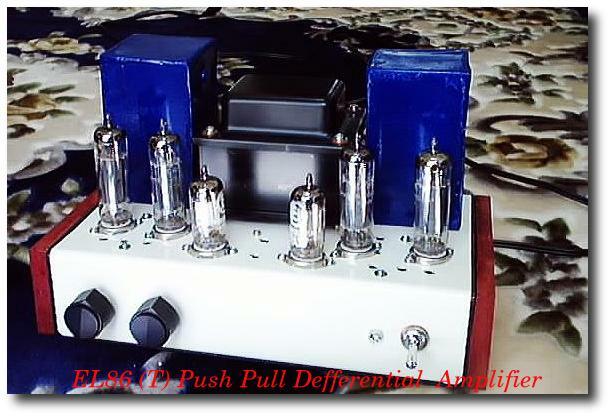 Full.Differential.Push Pull Amplifier has some sounding charactor of Single Ended Amplifier. does not get good bass and distortion range is not better than push pull amplifier. if would like to get good sound necesary to use big good qualitiy of audio transformer. Diff Push Pull but sounding is very similar sound with single ended amplifier. many good mayor thing are does not need good audio transformer,no nesesary good power supply. good separation with Right and Left channel. sound is just like single ended triodo. I did built up around 10's Full Diiferential Ampliers last 5 years.sound very nice. charactor is just same kind of sound with Single Ended Amplifier. make one limited current diode with one of resistanse within 1K ohm. please see next figure can help you when do you would like to make one.